Paintball in MN is a team sport that you could play with a large group or just a select few people determined. The game itself is actually one of strategy and permits you to try out your own combat abilities in a completely safe and fun environment. 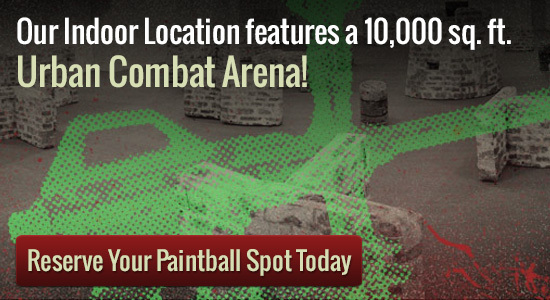 The aim of paintball in MN is to hit the other players with a paintball as a way to take them out. By the end of the game everyone on the field should be a rainbow of color from all of the paintball bursts. The best part about checking out this location for some great paintball in MN is the fact that you can literally play at whatever time works best for you. Groups of eight or less are able to walk in and play Friday and Saturday from 7pm until Midnight and Sunday Noon until 5pm. Those who have larger groups can call ahead and reserve the field making it a great location for bachelor parties and birthday parties as well. Many people head to Splatball in downtown Minneapolis for an engaging game of paintball given the fact that it is easily the best indoor paintball park in the area. Offering plenty of engaging obstacles and hideouts, the park offers a challenge to novice and experienced players that make every round more engaging than the last. Try out one round of paintball at the park and it is likely you will be back for more within a very short time frame.